Browse: Home / 2013 / January / LEAVE OUR PENSIONS ALONE! 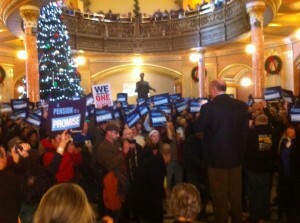 Over 1,000 active and retired public employees gathered at the Capitol today at Noon. 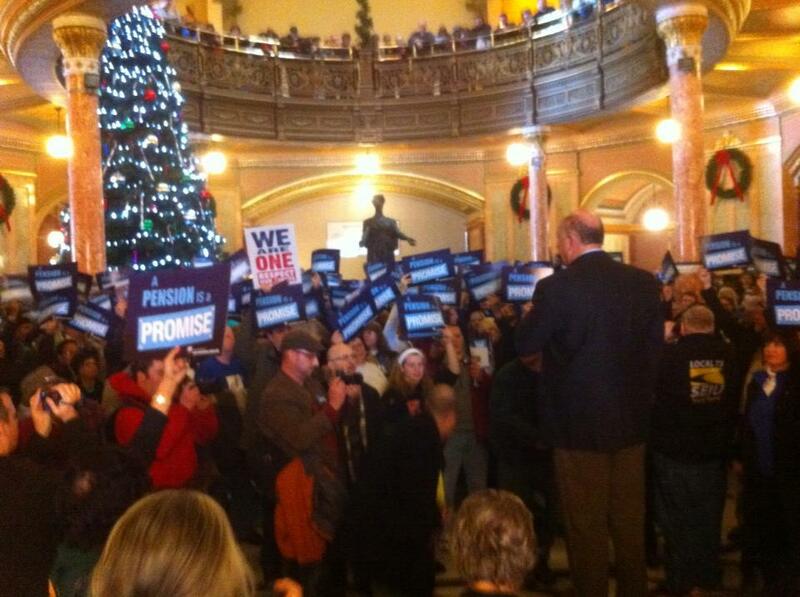 After the rally workers marched on the Governor’s Mansion – the resounding message – OUR PENSIONS ARE A PROMISE – PAY YOUR FAIR SHARE AND THEN – LEAVE OUR PENSIONS ALONE!